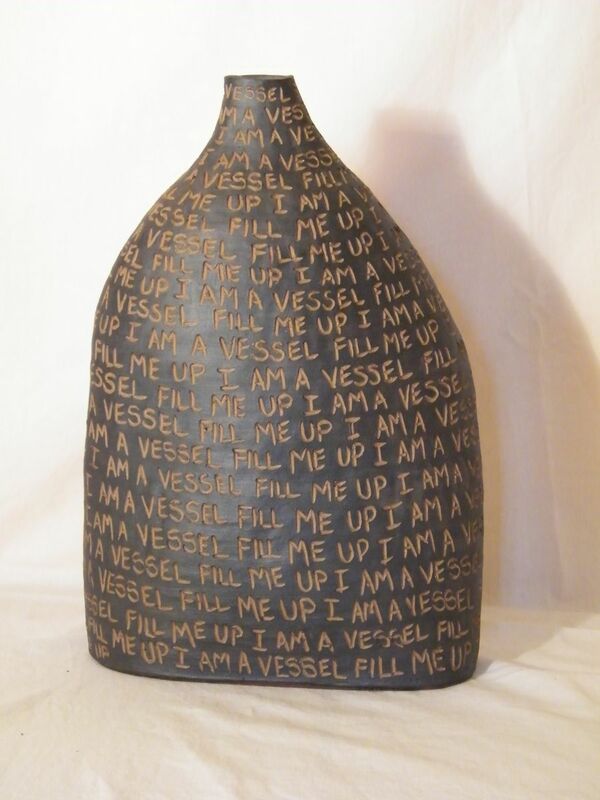 Hand coiled ceramic vessel with carved wording detail. Words repeat 'I am a vessel fill me up'. Painted with an oxide before firing for a semi-matte finish that is for decorative use only. Dimensions: 13 inches high by 9 inches across.